Testing of the Dreamcast Now! service is planned for the next couple of weeks and you'll be able to see when users are online and what they are playing just by visiting the service. Luke goes on to explain in more depth how the Dreamcast Now service works over at his blog Kazade's Internet Address, but here's a brief overview I copied and pasted for you. Don't say I never give you anything. "How does Dreamcast Now! work? It's all just a little bit clever. On boot a unique identifier is generated from your Raspberry Pi, this is your secret key which allows the service to know which DreamPi is online. When you connect to an online game, the DreamPi sends a message to the Dreamcast Now! service indicating that the user with that unique identifier came online. This is all pretty much anonymous, the whole communication happens securely over SSL and the only thing that is sent is the Pi's unique ID. Once the game is connected, the first thing it will do is perform a DNS lookup for the game's server. The DreamPi software watches for the domain query, creates a non-reversable hash of the domain (using SHA256) and sends this to the server. Again, this is all over SSL and the server has no way of knowing what the domain was unless it happens to match one of the game domain hashes we have on the server. These domain hashes are never stored. This is how the server detects when a DreamPi comes online and what game is being played." Pretty sure all that makes sense to somebody out there. Anyway, as I keep saying (ad nauseum), these are exciting times to a Dreamcast owner and the community is going from strength to strength with all the new software and hardware developments. This re-engineering of the online capabilities of our favourite white box is just another string to the Dreamcast's bow. Luke will be appearing on an upcoming episode of DreamPod, so if you have any questions regarding Dreamcast Now! or the DreamPi in general, please leave them in the comments section. A quick footnote I hasten to add to this story is that there is also a community currently running online called Dreamcast Live. The guy behind this service is none other than friend of the Junkyard Pcwzrd13, and he actually uses a DreamPi to run games and tournaments for other online Dreamcast gamers. Check it out! Lastly, if you can spare 30 seconds please vote for The Dreamcast Junkyard in the UK Blog Awards 2016. You can even vote again on separate days, so if you've already done so...you can again (on a different day!). Thanks all. Will the DreamPi be able to update the game server list automatically when new servers come online? Say, F355 server or some other game that is currently coming online is now online, will be it be able to detect that and know what to do with it? this is brilliant. I've always just used dialup for my online Dreamcasting, but the inclusion of Now is a damn good reason to get a DreamPi. I think this is some really exciting news - which says a lot considering we DC fans never seem to have a shortage of developments. Kudos! This is awesome! Who said the Dreamcast was dead? Thanks Luke for all the hard work and dedication. This is awesome, gives me a good reason to dust off my old Pi, since I haven't really used it since I bought it :D, it's a bit too slow for Kodi. I have the 512mb ram model, are there any particular requirements, or is that more than capable? :) Great work btw! The Model B with 512mb of RAM is what I have and use for DreamPi. 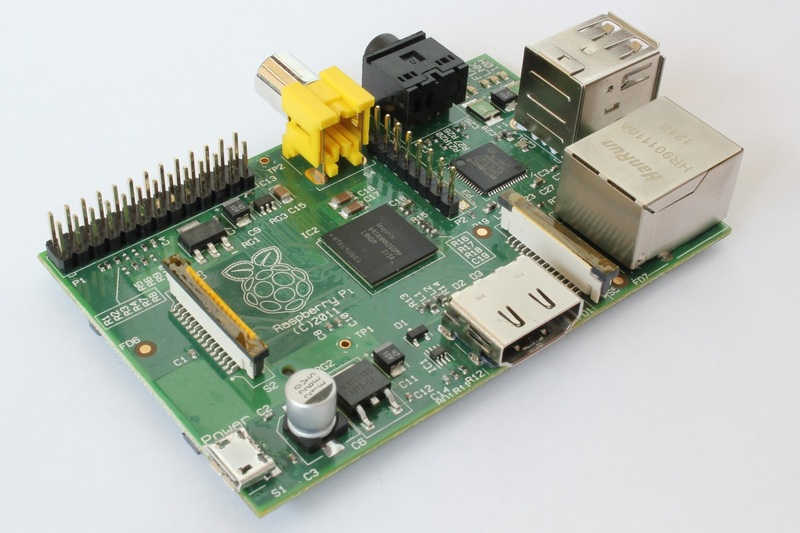 Any Raspberry Pi model with an Ethernet port should work though.